The Reit Price Company has manufactured many types of cleaning products, beginning with cast iron assemblies for mop handles and mop buckets. Today, we offer a complete line of mops, brooms, handles, and hardware for floor care. 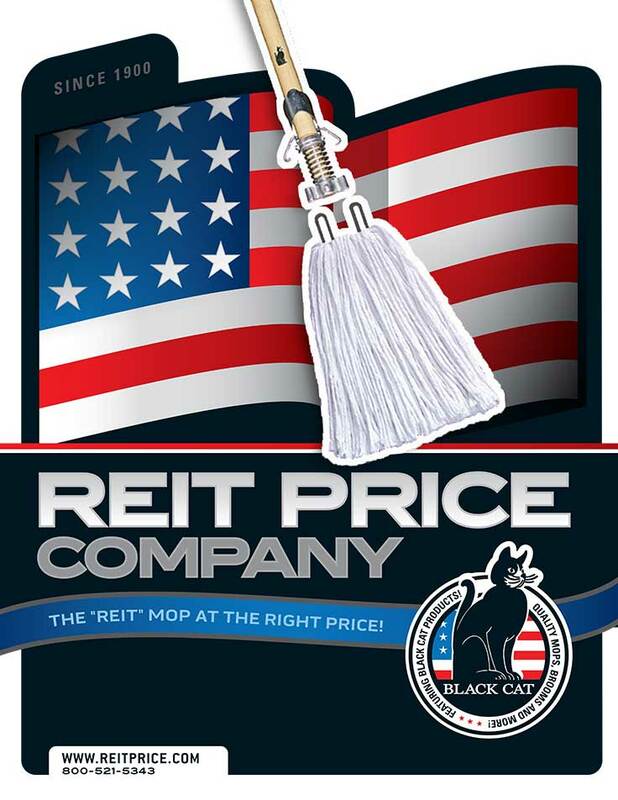 Reit Price is best known as the largest manufacturer of Metal Band mops in America. THE "REIT" MOP AT THE RIGHT PRICE!